For the people of Geney Gewog in Thimphu, Masutake, locally known as Sangay Shamu, is to them what cordyceps is to the Highlanders. The highly sought-after mushroom, known for its distinct spicy-aromatic odour, fetches them about Nu 150,000 every year. 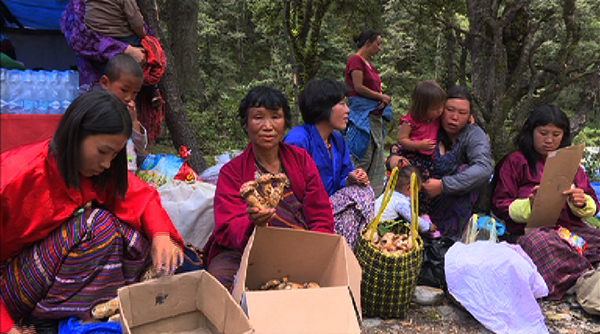 The people in the gewog recall selling Masutake for the first time some 30 years. The trade continues to this day. In fact, it has played a vital role in improving the lives of Geneps. A woman called Kuchum is claimed as the first person who started Masutake trade three decades ago. Today, her 42-year-old niece Dema continues what her aunt started. Dema and her family spend their time in the forest collecting Masutake during the months of June, July and August every year. “We don’t have to grow Masutake. The mushroom grows by itself. The only challenge is the risk of encountering wild animals in the forest while collecting the mushroom,” Dema said. The people in the gewog grow only potato and wheat. Therefore, Masutake forms a significant source of income. “Wheat and potato are all that grows here, so we depend on Masutake for livelihood and to pay for our children’s education,” Dema added. So is the case for others in the gewog. “Masutake has helped us a lot. Earlier, we sold scrap metal to make a living. It was a hard life. We also had to take other tough jobs,” Tauchu said. 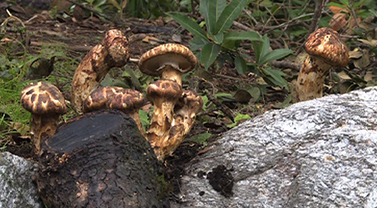 A mushroom committee has been formed by the gewog. It has over a hundred members. Geney Gup Karma Gyeltshen said the lives of the people in his gewog have improved considerably thanks to Masutake. “It has enabled us to raise our children comfortably,” the Gup added. The people sell the mushroom to the committee, who then sells it to local buyers and exporters. A kilogram fetches between Nu 600 to Nu 1,000. The prices are better at the Masutake festival, which is held around this time every year. A kilogram can fetch more than Nu 1,500 at the festival. The prized mushroom is exported to Japan.